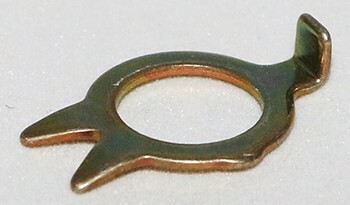 Laminate washers are a common component manufactured at Ford Engineering. Machined from our range of laminate sheets, which are produced in-house, the washers can be formed from layers of laminate material, or a hybrid combination of laminate and solid plate. Laminate washers allow our customers to make onsite modifications to be to the component without the need for specialist tools or equipment. This increased productivity and reduces downtime. 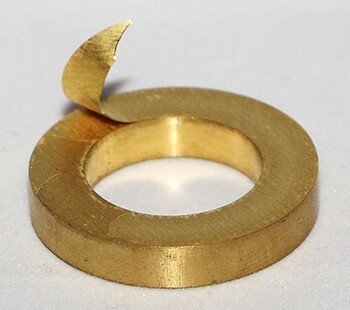 This composite laminate shim is an example piece from our Plasipeel range, made from multiple layers of either Mylar, Kapton or PEEK, bonded together to allow the total thickness to be reduced if required by the customer. Each sheet is 0.002 inch (0.05mm) thick, allowing customers to make accurate thickness changes onsite. 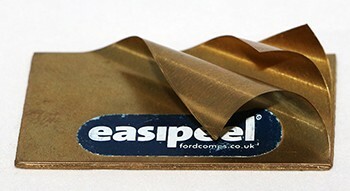 This Laminate plate is an example piece from our Easipeel range, available in both standard and hybrid form, with a solid sheet of metal and additional layers of 0.002 inches (0.05mm) which can be removed if the customer requires. This makes laminate components the ideal material to use for spacers or shims, where the required thickness could vary between applications. Collared bushes are another of our standard parts, which we produce in both large and small quantities on our CNC turning machines. 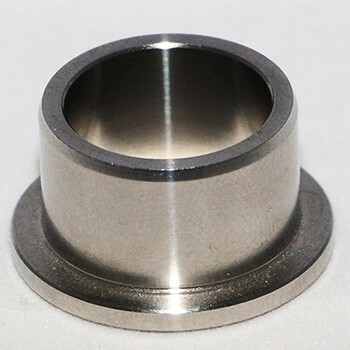 The parts are produced from bar and then sent out for heat treatments in order to conform to the customers specification, before receiving either a sample or 100% inspection, depending on the customer’s needs. 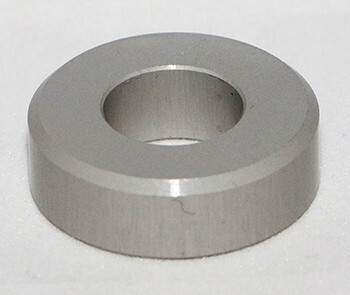 Washers are a common component found passing through our shop floor due to the capabilities we have – either turning them from solid bar, or pressing them from sheet material. The method used will depend upon the customers’ requirements, with the addition of chamfers and other operations, such as heat treatments or painting, available upon request. 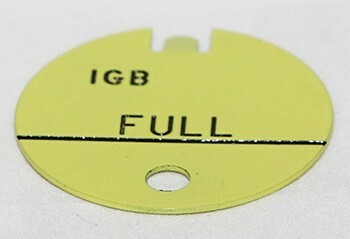 This plate is machined first in the CNC department to produce the required profile. It is then transferred to a conventional grinding machine, which produces a surface finish matching that of the customer’s specification.